From Monday to Sunday you will find live Irish music in one of the bars or hotels in Adare. The musical events change from bar to bar so ask at the bar to find out who is playing. 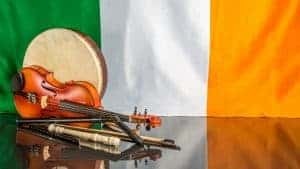 Throughout the Summer months, up to 29th August enjoy a night of Traditional Irish Music, Irish Dancing and a hearty 3 course Irish Meal at Woodlands House Hotel. Adare has a great mix of music venues to suit all tastes. Our bars are renowned for their traditional Irish music evenings, featuring well known local and regional musicians.